Mark Dennis Heppner was born in La Junta, Colorado, on February 5, 1951 to Allen Glen and Verbie Irene (Becker) Heppner. He passed away in Independence, Oregon January 22, 2018. Mark’s early childhood and most of his school years were spent in Moundridge, Kansas. In 1966 the Allen Heppner family moved to Oregon, where Mark graduated from Scio High School and attended Oregon State University. Years later, he met and fell in love with Laura Rolene (Hochstetler, Nissley) and her two sons. Mark and Laura were married in Salem, Oregon on March 27th, 1988. Mark adopted Laura’s sons, Tad Michael and Robb Jeremy (Nissley). The family was blessed with another son, Dustin Cameron, on January 26, 1989. In his younger years, Mark enjoyed many water-related sports and activities. 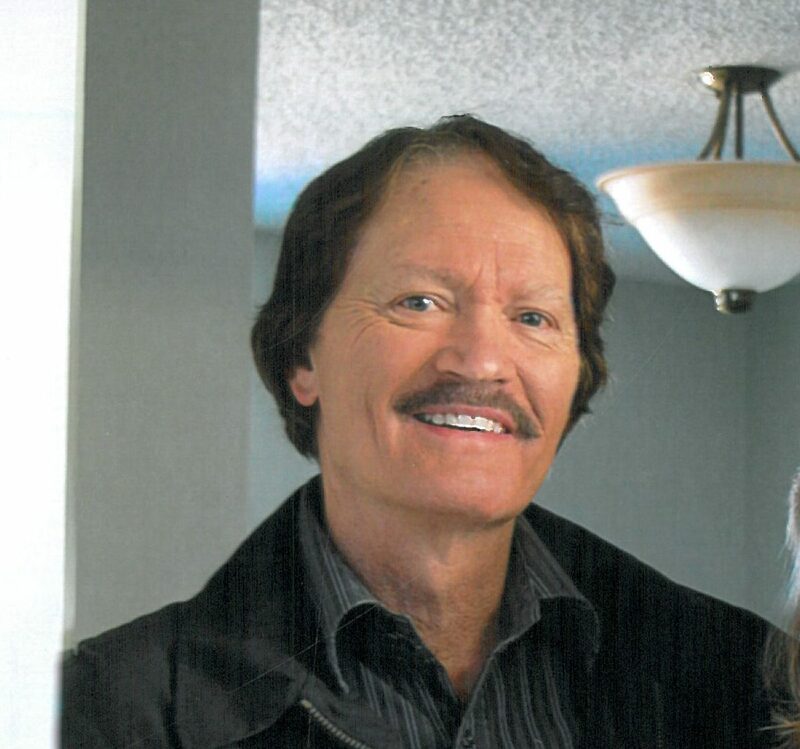 He was a certified scuba instructor, and he enjoyed boating, camping, fishing, and skiing. He had a lifelong passion for western history and art, cars, hot rods, and an interest in inventing. Mark was an avid reader and enjoyed his daily ritual of morning coffee with a newspaper. Part of Mark’s life work was spent as a manager of rental properties in Kansas, Montana, and Oregon. In addition to this he had his own retail business selling watersports and sporting goods online. In recent years he managed a self-storage business in Windsor, Colorado. He and Laura moved back to Salem, Oregon, in August of 2017, to retire. Mark’s life was characterized by his devotion to his faith and he enjoyed engaging in spiritual conversations. He often expressed admiration for the faith of those around him and he strived to live his life with integrity. In the mid 1970’s Mark made a life-changing decision, and committed his life to Christ. He was baptized in 2001, at Salem Alliance Church. Mark’s concern for others was manifest by his diligence in caring for his aging mother. He called her daily when she was in nursing care, and he worked tirelessly in assisting her in every way he could. One of Mark’s chief joys was spending time with his family and friends. He never knew a stranger, and often struck up conversations with those who looked to be heading out for an adventure: fishing, boating, or hunting. He actively shared in the interests of his sons: creating inventions, collecting baseball cards, and attending basketball games and orchestra concerts. Valentine’s was a favorite holiday and he never missed planning something special with or for Laura. Mark was preceded in death by two infant siblings, Sondra in 1945, and brother Timothy in 1959; by his father, Allen in 1999, his brother Caleb in 2008 and his mother Verbie in 2015. Mark is survived by his wife Laura, his son Tad and fiancé Petronella Kettunen of Gothenburg, Sweden; his son Robb and wife Abby, and their children Eli and Zeke of Salem, Oregon; his son Dustin of Independence, Oregon, and his sister Ilana Schmidt, and husband Brian of Moundridge, Kansas, and many dear cousins, nieces, nephews, friends, and relatives. Charitable contributions can be made in Mark’s honor to Salem Alliance Church. A beautiful tribute to Mark’s life. We have fond memories of getting to know Mark, a man of many interests and admirable character. Too often we don’t think about a person’s legacy until they are gone. Laura, our thoughts and prayers are with you and your family daily. Sorry for your lost. May God be with your family as you go through this sadness. May he rest in peace. Dear Laura and family. Would love to be there…maybe sometime a little later, but know that we are there in spirit. Ron has good memories of getting to know Mark at the reunion in Denver. He was a special person! Thoughts and prayers are with you and the family during this difficult time. I share pleasant memories of Mark. He will be greatly missed. There is comfort knowing he is at peace and in his eternal home. Thinking of family and praying for all of you as Mark has moved to his new home forever in heaven. May God comfort and strengthen you in days ahead. I always enjoyed talking with you in church you will be missed by all, but knowing that you are going to see the face of God will help everyone that loved and cared about you deal with are loss. Our lives where so much richer for having to know you Go upon that mountain where there is no more pain and touch the hand of God my friend. Love, support, prayers and hugs are sent your way. I can see Mark now, enjoying Heaven and our Savior, Jesus Christ. Laura, we pray for God’s abounding peace and comfort in your time of sorrow, for you and your family. We send our love and thoughts Laura to you and the children. May God’s richest blessing of peace and comfort be with Mark’s family. Thank you for trusting Johnson Funeral Home with his arrangements.